Drop the Rope in Your Tug-of-War with AngerIf you've tried to control problem anger before with little success, this book offers you a fundamentally new approach and new hope. Instead of struggling even harder to manage or eliminate your anger, you can stop anger feelings from determining who you are and how you live your life. 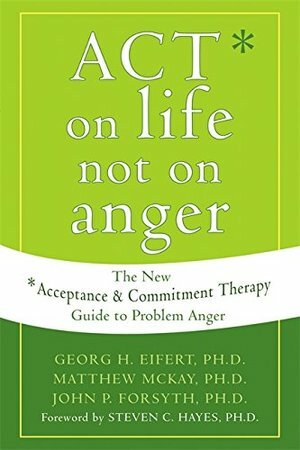 Based on a revolutionary psychological approach called acceptance and commitment therapy (ACT), the techniques in ACT on Life Not on Anger can help you let go of anger and start living your life to the fullest.Your path begins as you learn to accept your angry feelings as they occur, without judging or trying to manage them. Then, using techniques based in mindfulness practice, you'll discover how to observe your feelings of anger without acting on them. Value-identification exercises help you figure out what truly matters to you so that you can commit to short- and long-term goals that turn your values into reality. In the process, anger will lose power over your life-and, amazingly, you'll gain control over your life by simply letting go of your angry feelings.